• Select Principal: "Everyone"; Select Type: "All"; Select Applies to: "This folder, subfolders and files"; Select the following "Advanced Permissions": "Delete subfolders and files" and "Delete". • Audit object access → Define → Success and Failures. • Audit Handle Manipulation → Define → Success and Failures. 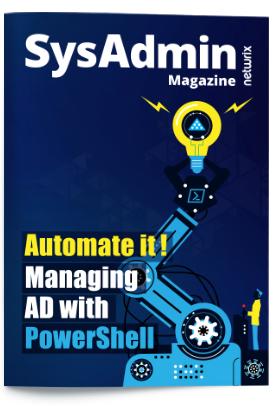 Link new GPO to File Server and force the group policy update. 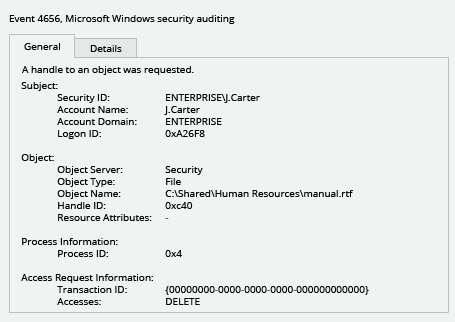 Open Event viewer and search Security log for event ID 4656 with "File System" or "Removable Storage" task category and with "Accesses: DELETE" string. "Subject: Security ID" will show you who has deleted a file. 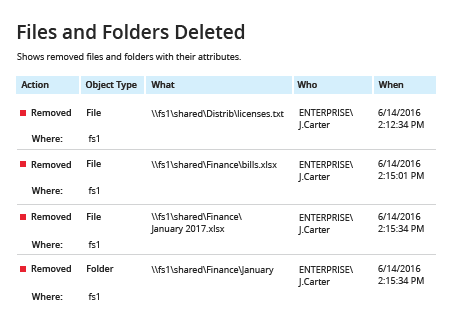 Run Netwrix Auditor → Navigate to “Reports” → Files Servers → select “File Servers Activity” → Files and Folders Deleted → Click “View”. In order to save a file, click the "Export" button → Select Excel format → Save as → Choose a location to save it. If a file on your server is deleted maliciously or by mistake, it can lead to losses of sensitive data and the inability of users to access the information they are intended to use, both of which may result in additional troubles for IT staff.